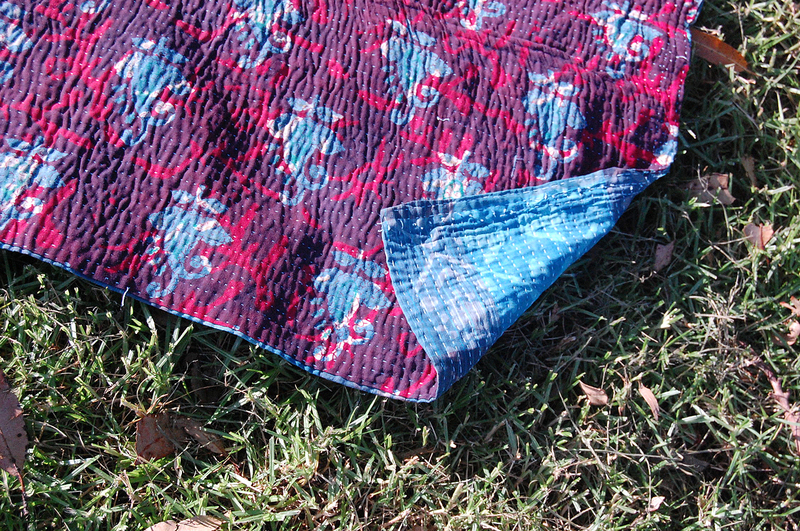 Azure, like the sky on a clear day, like the crisp icy cold water from a mountain stream, a sparkling lagoon… This indigo kantha quilt is magical ~ with a completely unexpected reverse side of bright red, overlapping the blues and previous prints. 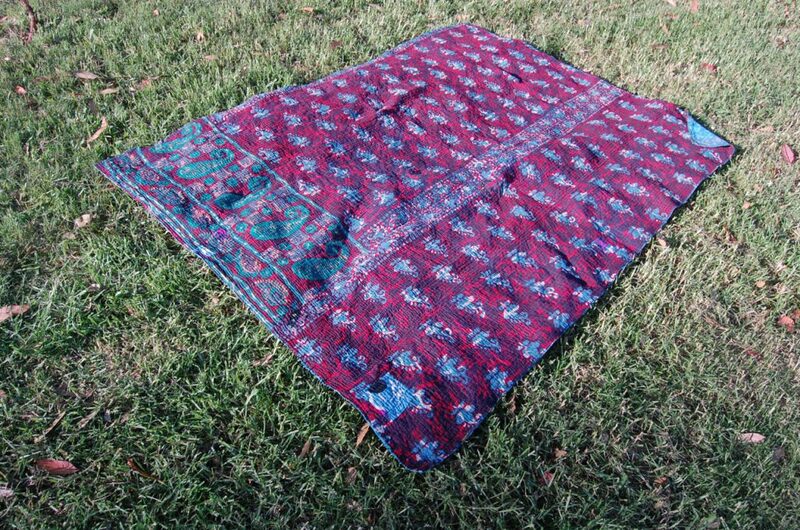 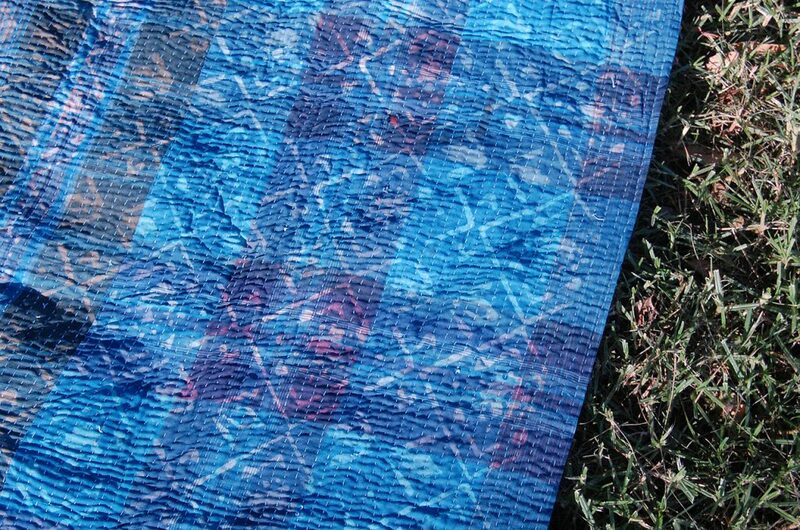 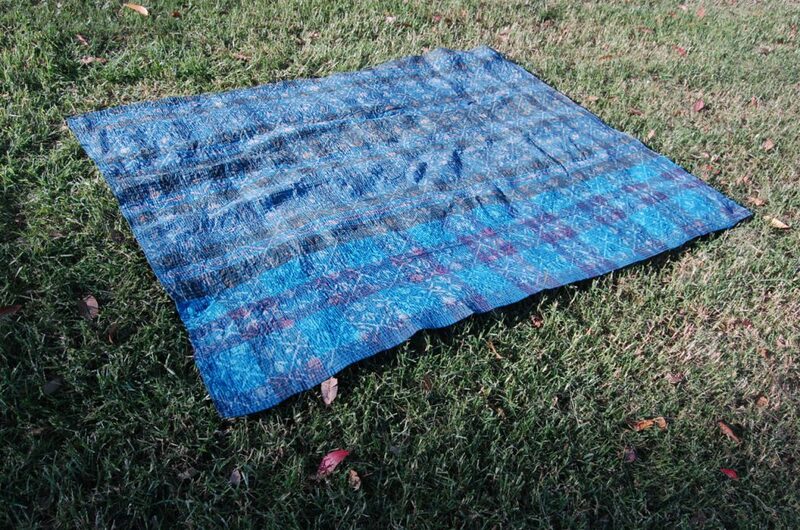 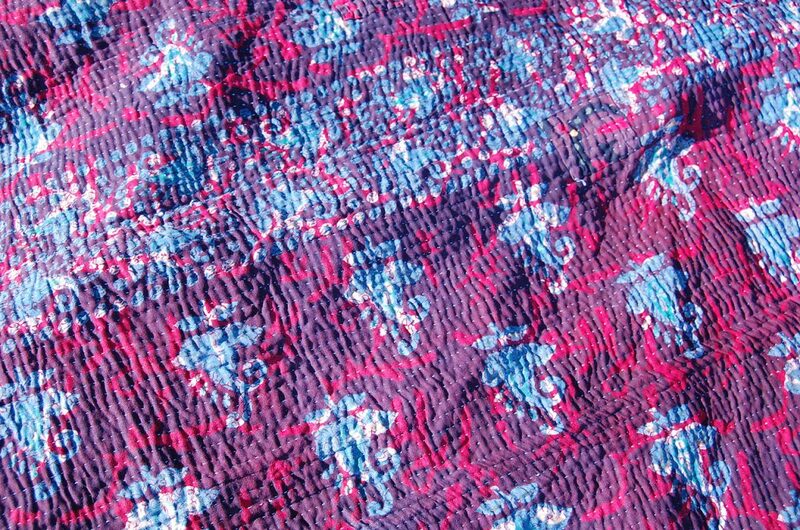 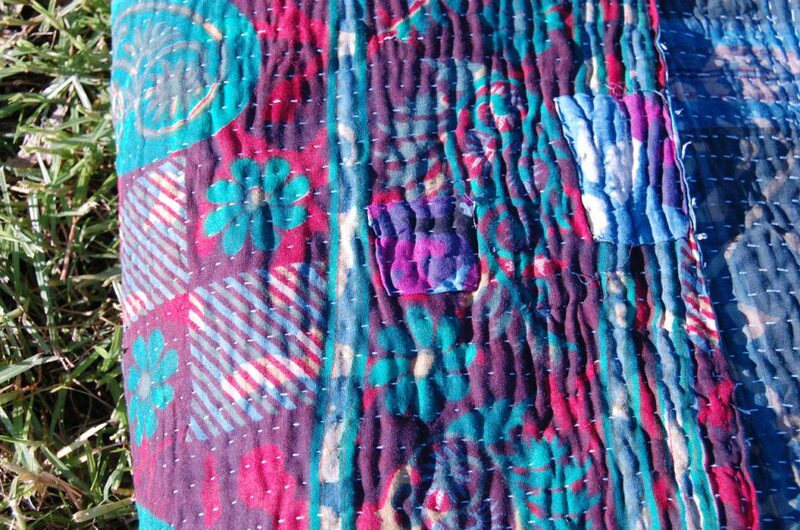 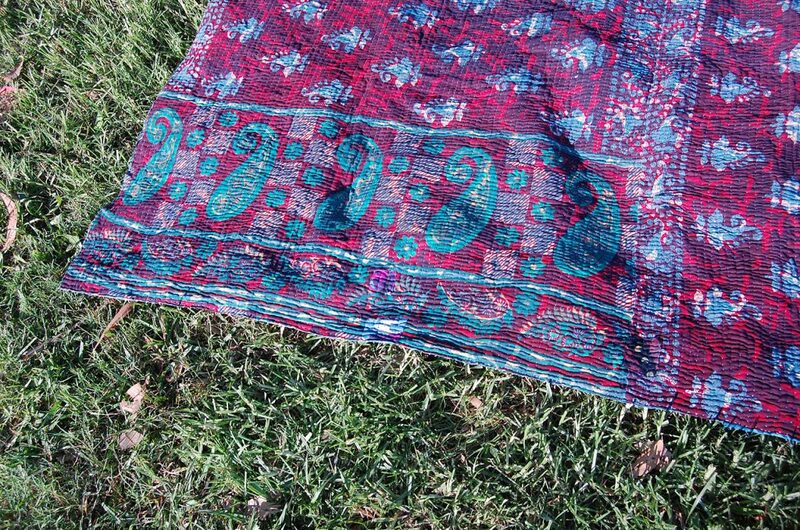 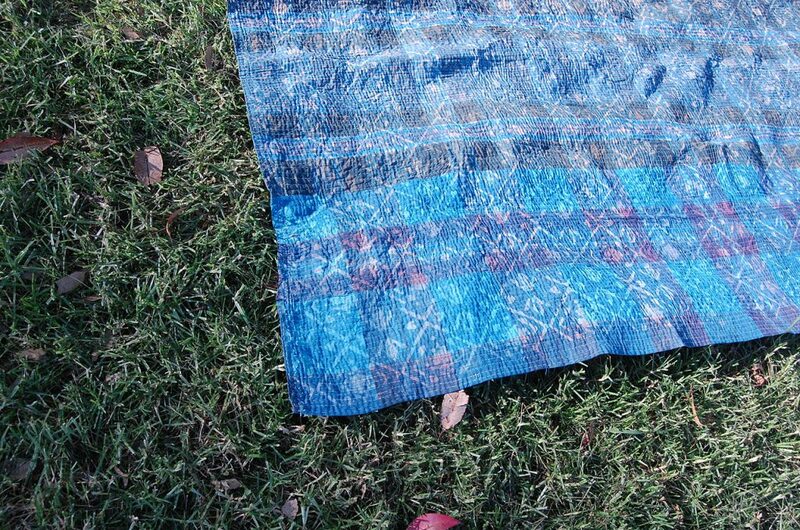 What a wonderful, exciting kantha throw! 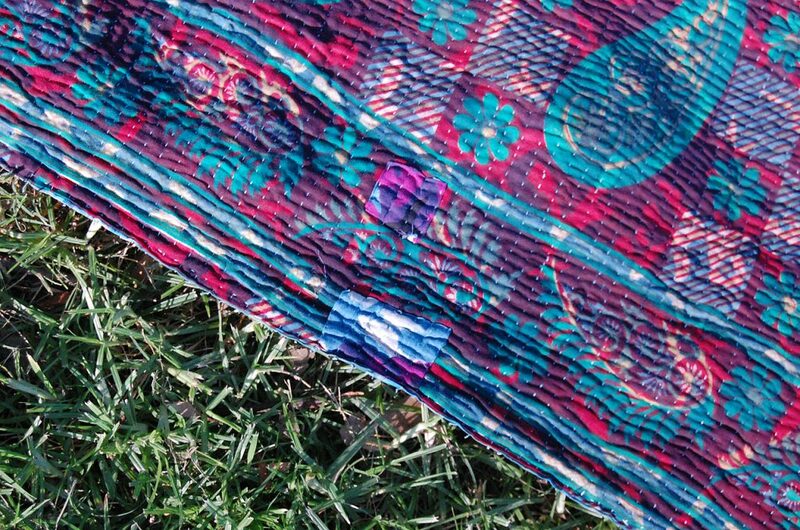 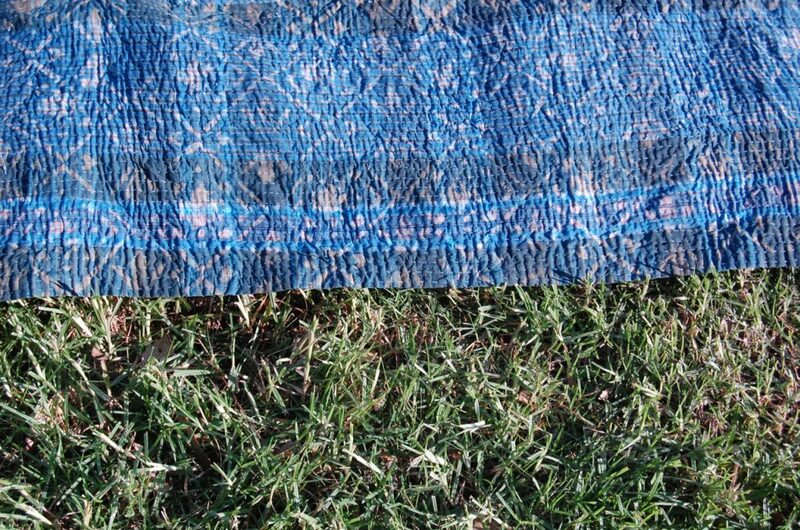 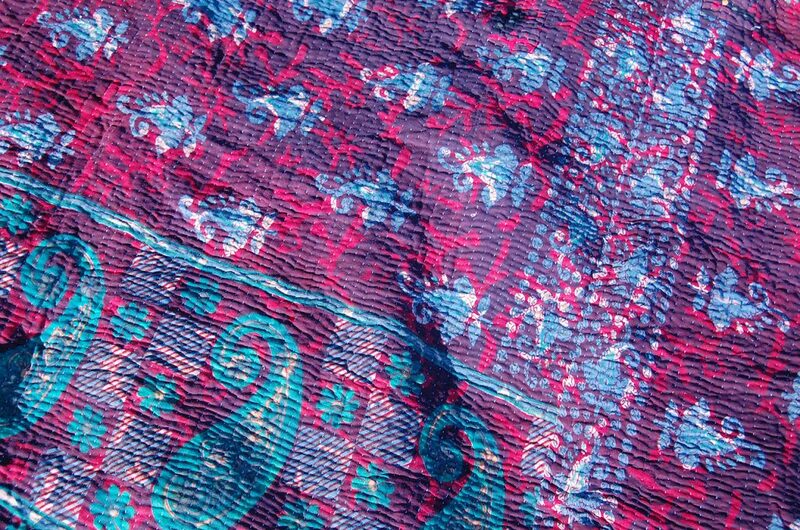 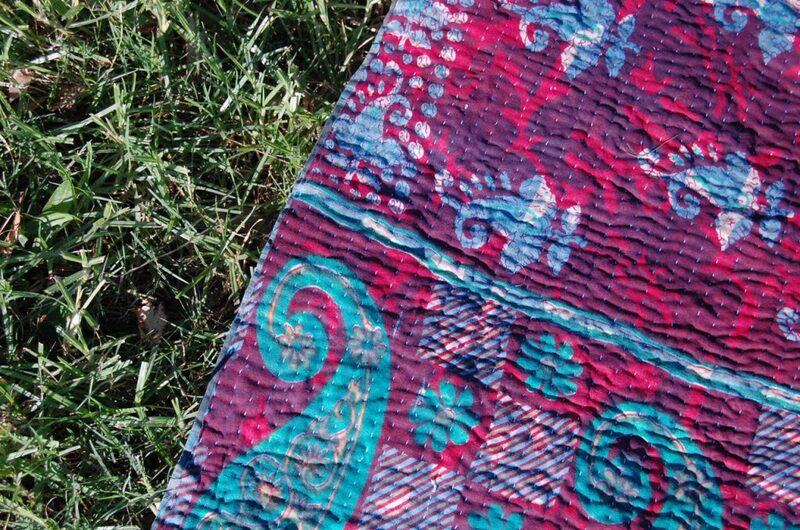 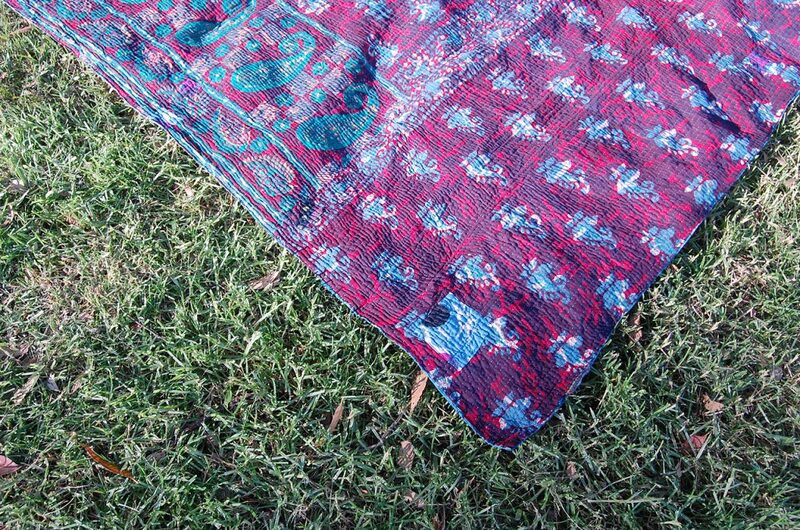 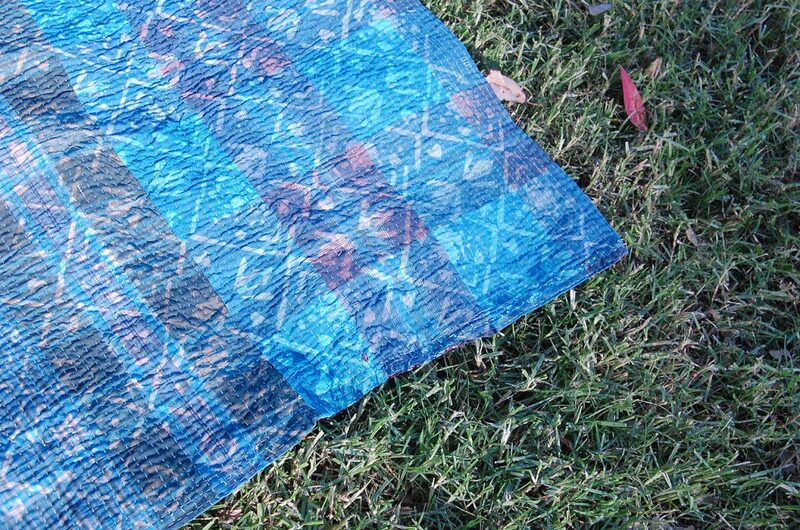 Be quick, each kantha from The Kantha Project is unique, a one-of-a-kind handmade item.